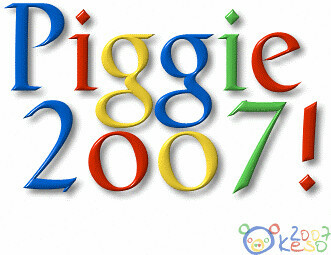 Wish all of us a wonderful Piggie Year! Happy Chinese New Year Jian Shuo! Wishing everybody a great Year of the Pig. I got here searching for Wallop invitations….Quite odd…Well, i wont leave without posting my wish of a happy chinese new year for you all. And now continuing whit my guest for the Wallop invitation! Wishing Everyone a Prosperous Year of the PIG! Gong Xi Fa Cai! Hi, just would like to wish everybody in the world Happy Chinese New Year! What’s the deal with “Gong Xi Fa Cai” anyways? I much much prefer staying happy and healthy. Money doesn’t buy happiness. Too much money only brings on another set of problems. Hey, come on my dear! Please don’t spoil the mood. Just for the mood of new year, what’s wrong to wish everybody prosperous by saying “gong xi fa cai” once a year. “Gong Xi Fa Cai” does not translate to wishing someone to be prosperous, it means to striking it rich. Many people in China are too concentrated on striking it rich that they forget what’s important in life. Friends, family, health, happiness, and helping the poor — they all are more important than accruing a lot of wealth. I hope people realize that money isn’t everything. In this holiday season, it’s important to help the less fortunate as well. Our holiday greetings start with “happy” or “merry”. I am not aware of another culture where people tell each other to “strike it rich” on holidays. Does it take an outsider to point out how weird this is?